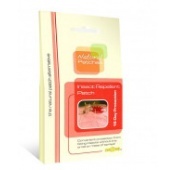 Each Insect Repellent Patch contains 75mg of Thiamine, a natural vitamin, this works with the bodies own chemistry to create an invisible barrier that shields from biting insects. 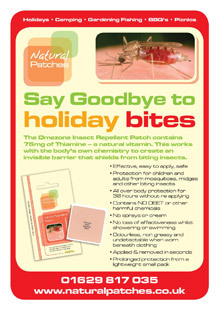 The Insect Repellent Patch is ideal for holidays, fishing, gardening, BBQ's, Picnics and all outdoor activies. We recommend use on children over the age of 12 months. Thiamine is very hard to obtain through a balanced diet as the cooking process destroys most of the vitamin. The body typically needs less than 2mg of Thiamine per day for a healthy diet; excess Thiamine is passed through the urine, breath and skin, the latter being important. Please note: As with ALL Insect Repellents on the market, it is still possible to get bitten! 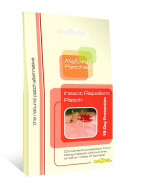 An Insect Repellent will reduce the amount of bites but NO Insect Repellent can guarantee no bites. Directions: Apply one patch to a clean, dry, hairless area of the skin. 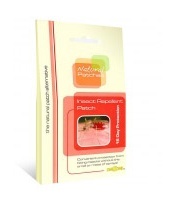 The Insect Repellent Patch will become effective approximately two hours after application. After 36 hours, replace with a new patch.